A good breakfast for a successful start in the day. Enjoy our rich breakfast buffet where you will find products from the region and also a nice cup of coffee. That`s what a good days start has to look like! How does it work? We focus on the essentials. Smart Motel. Simply good. 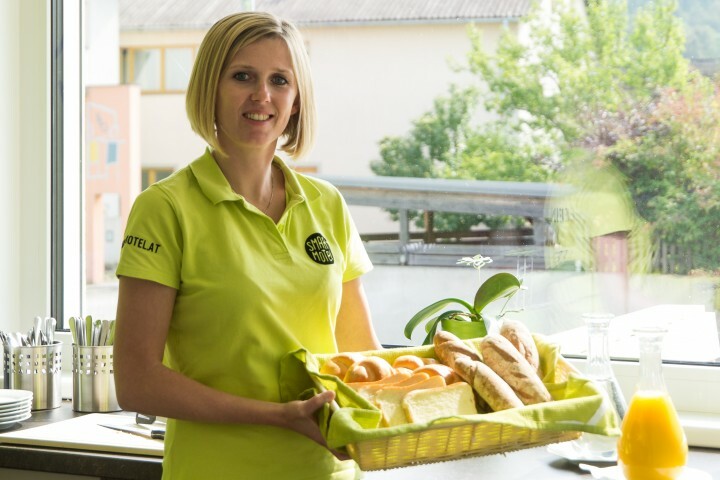 Monday until Friday from 6.00 – 9.30 a.m.
Saturday, Sunday and holidays from 7.00 – 10.30 a.m.
Book your breakfast now – online or at the Check-in. Prices are per person and breakfast, including taxes.